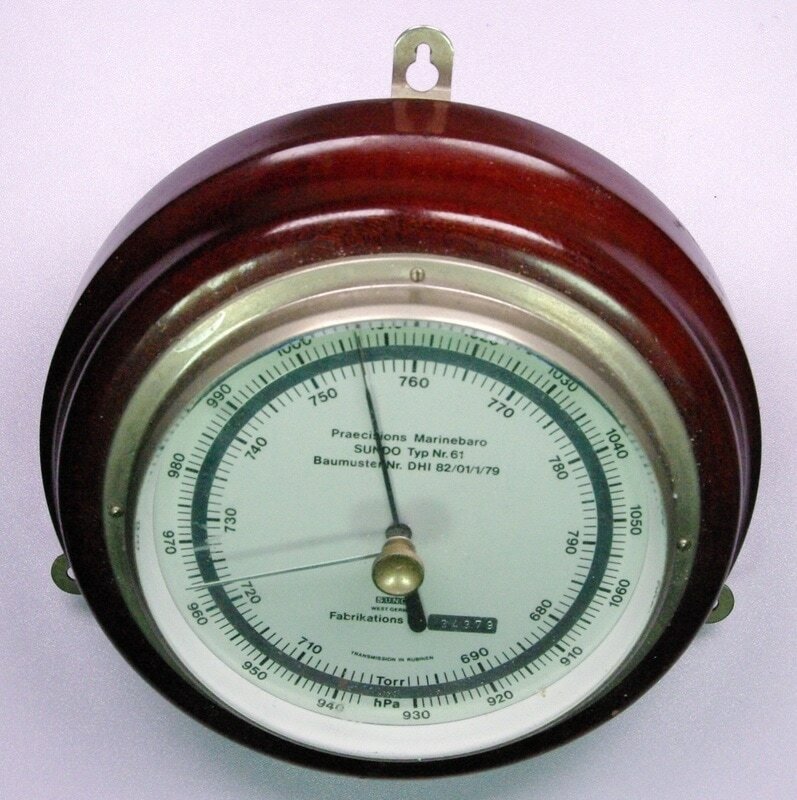 ​This SUNDO marine barometer was made in Germany, probably before 1990 since the dial says 'Made in West Germany'. The number 79 appears twice on the dial, perhaps indicating 1979. The dial face is approximately 4.75 inches in diameter. Go to SUNDO/Staecker & Olms catalog page.